We will receive crew mail, personal packages, spares, bulk packages and even containers on your behalf, store them indefinitely and get them to your destination on time. Yacht Chandlers is your destination for all of your Shipping, Crew Mail and Freight Forwarding Solutions. We will receive crew mail, personal packages, spares, bulk packages and even containers on your behalf, store them indefinitely and get them to your destination on time. 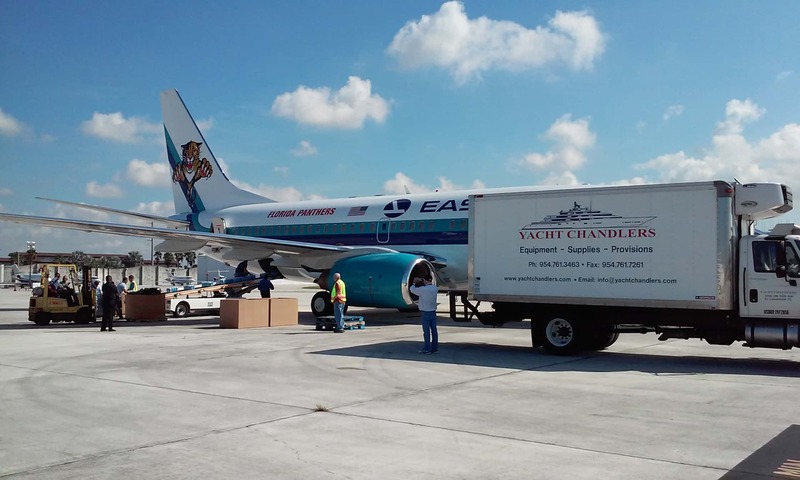 Whether it’s a local delivery to Miami, Fort Lauderdale, West Palm Beach, a remote island in the Pacific or anywhere in between our shipping department will get your goods there safely, securely, efficiently, on-time and at the lowest prices possible. In our 26 years in the business, there is almost no where in the world where we haven’t shipped, we can almost instantaneously provide you with accurate lead times from inception to clearance to arriving to its destination. Our shipping department is certified and has the know how to ship everything from the most common items to the most dangerous goods. Certified in Function Specific Training for Preparing and Shipping Lithium Batteries for Transport by Ground 49-CRF, Air IATA DGR and Ocean Vessel IMDG. At Yacht Chandlers we will go above and beyond to make sure your valuables arrive safe and sound. We build in house custom crates, specialty pallets and all other shipping solutions imaginable. If your freight is to delicate or bulky to be shipped via standard carrier we will happily drive it across the country to your desired destination. Our long standing relationships and bulk discounts with all major carriers including UPS, DHL, FedEx, Delta and American Airlines insures you the best possible prices in the industry. Our Strategic partnerships and enduring relationships with ever major yacht agent worldwide assures your packages are cleared through customs efficiently and quickly to prevent any unforeseen delays.